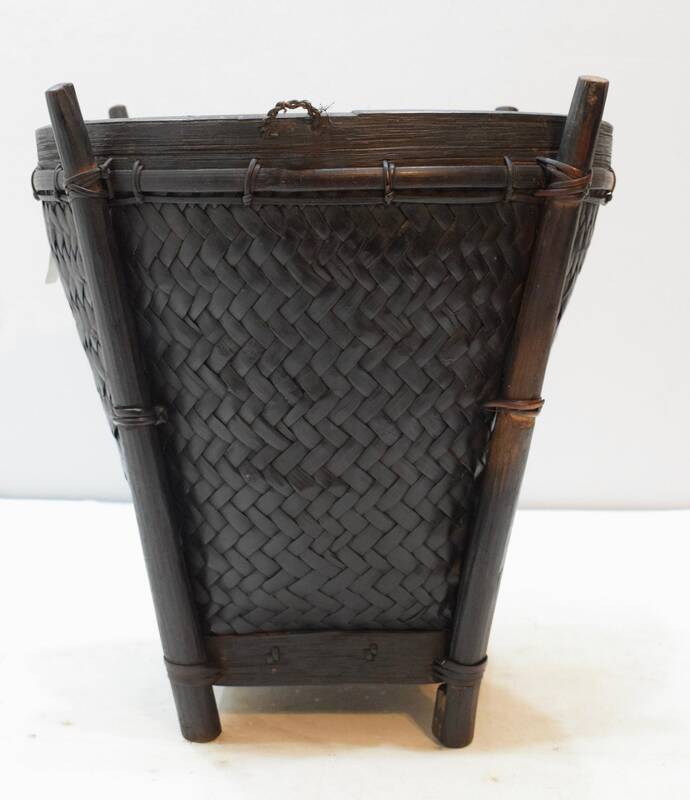 This is a wonderful Rattan Basket from the Ifugao people of the Luzon Cordillera Range of the Philippines. 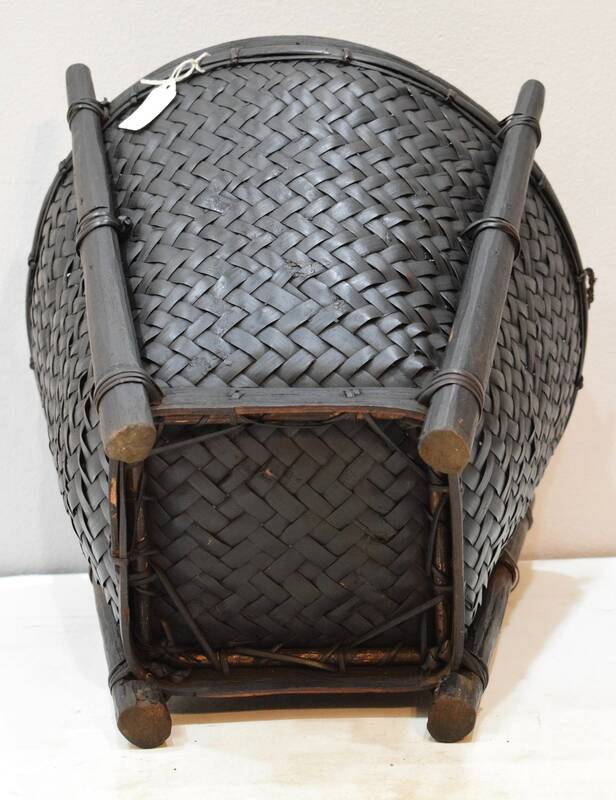 For centuries, basketry formed an essential part of all aspects of daily life in this area, and the Ifugao are known for their craftsmanship in basketry. Baskets range in form and size. 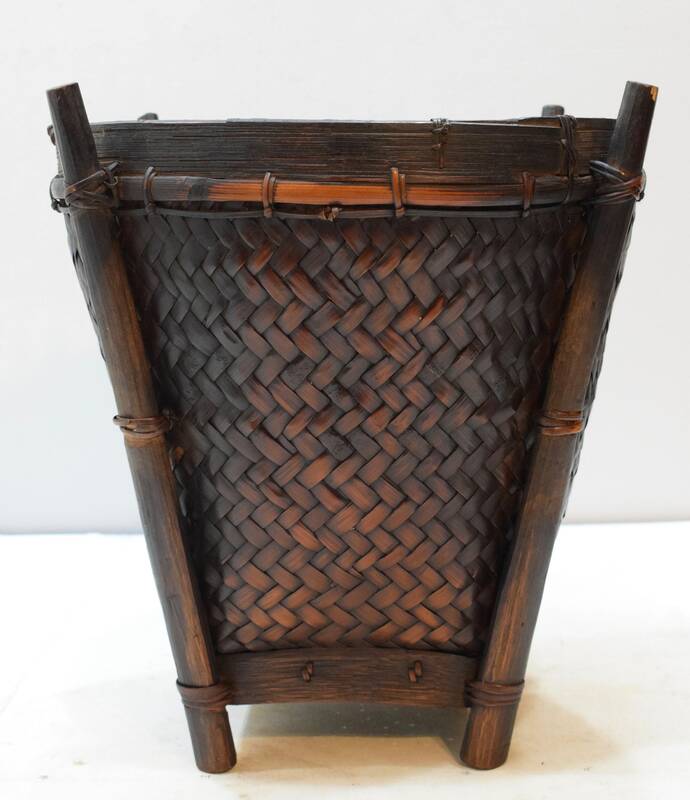 Basketry is gender specific among some groups, but, both Ifugao men and women engage in basket making. 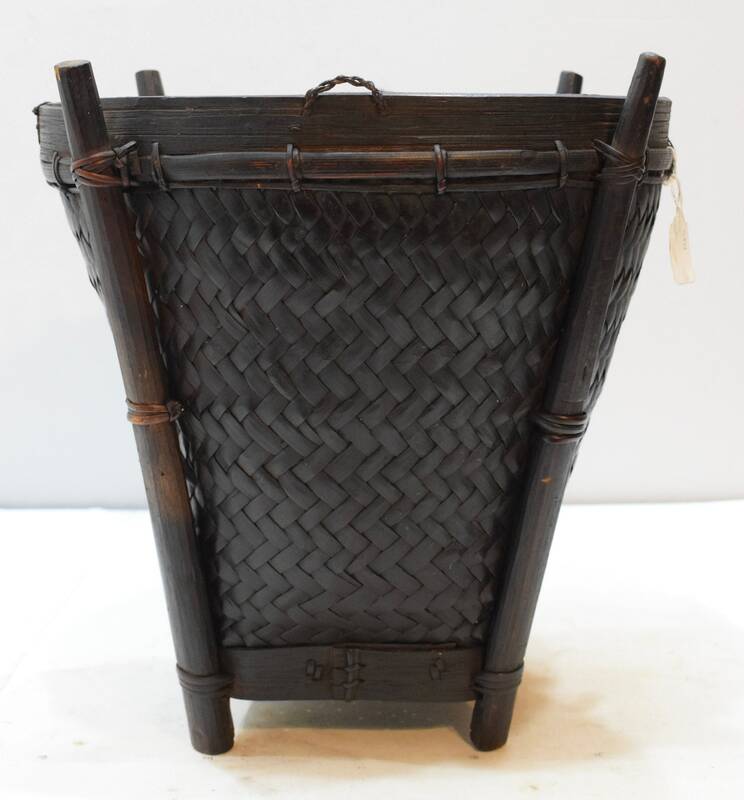 Baskets are made of bamboo, rattan, or a combination of the two. The most frequently utilized construction technique entails plaiting, although wickerwork, twining, or coiling are also employed. 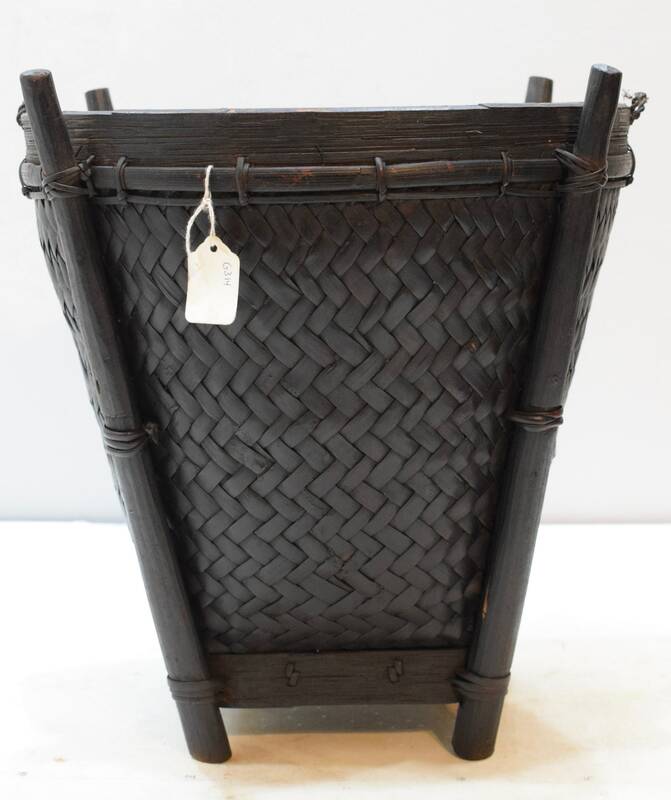 A marvelous addition to your collection or to display in your home. 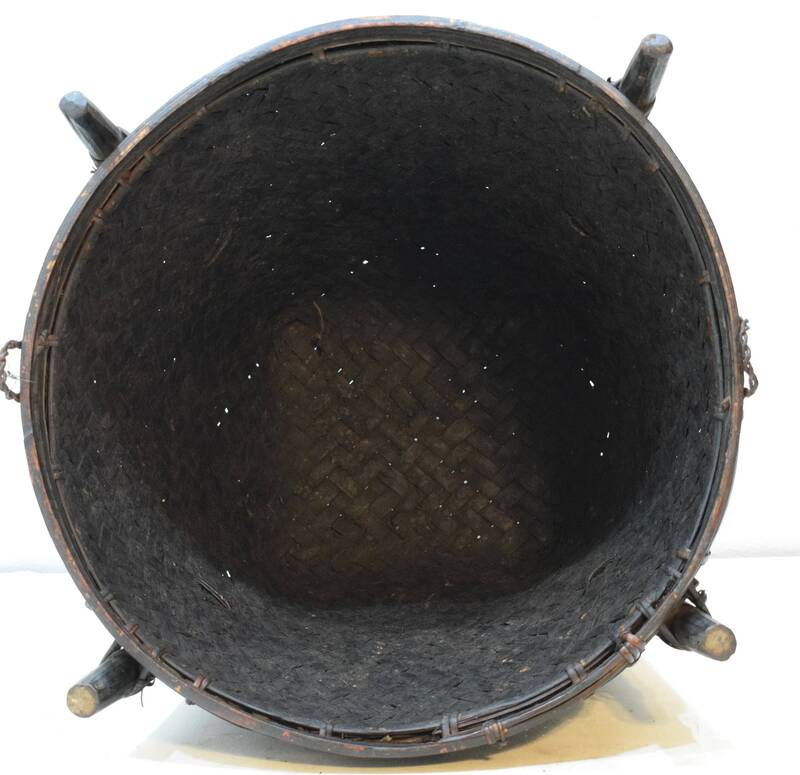 Shows age and use, but overall in good condition.